SHARE YOUR TALENT! 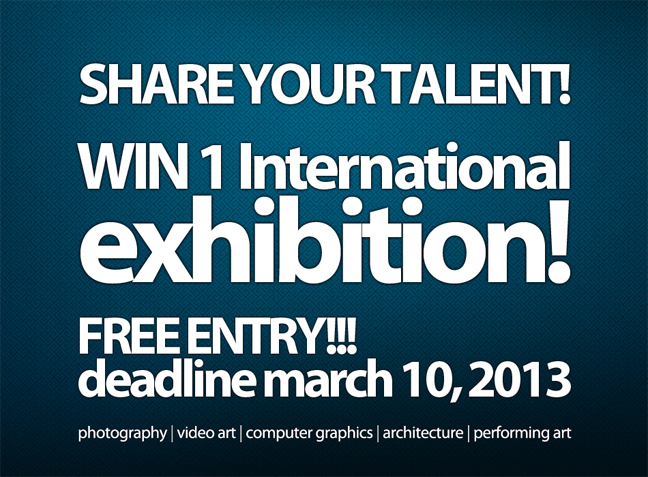 WIN 1 International Exhibition – NO ENTRY FEE! SHARE YOUR TALENT! 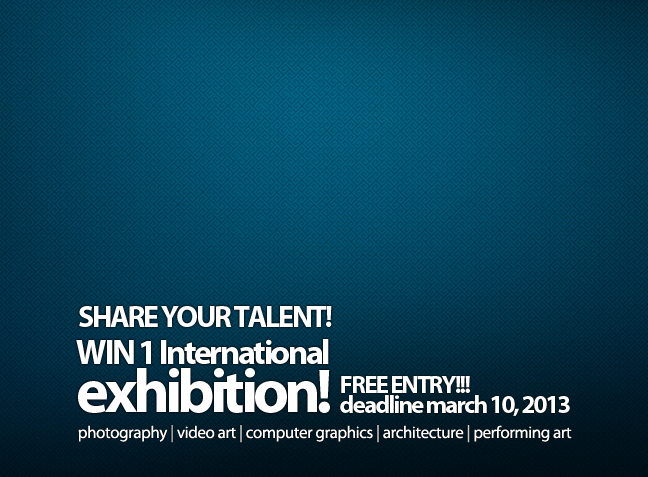 WIN 1 International Exhibition. NO ENTRY FEE! 4. good luck!!! Make sure you and your fans complete all the steps! Participant with the highest number of likes on his/her image will be the winner of 1 International exhibition organized by International ArtExpo. The winner has to reach a minimum of 500 likes on his/her image. Make sure you and your fans complete all the steps. We will check if the winner and his/her fans followed all the steps (liking the page, liking the image and sharing the image). The organization has the right to moderate and confirm the final public vote score.